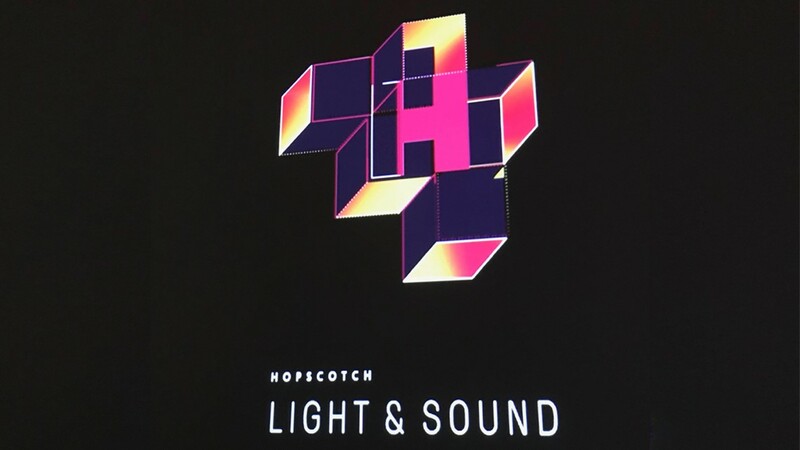 "Hopscotch: Light and Sound” is a 10,000 square foot space in Austin with 13 different installations from a variety of mostly Austin-based artists. Take a look inside. 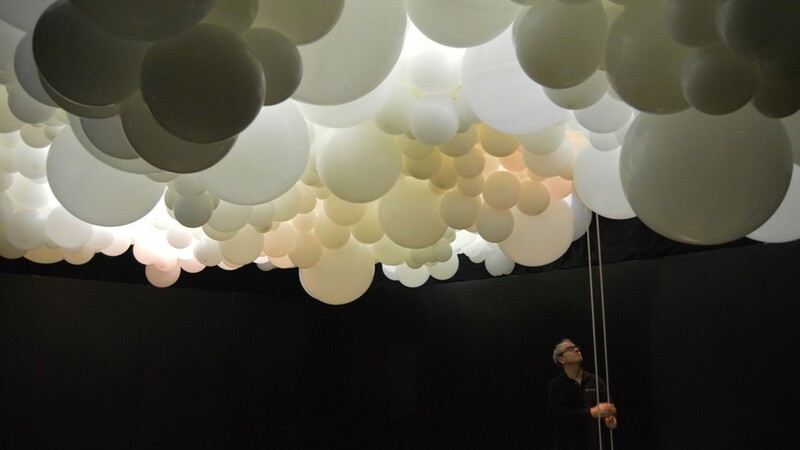 AUSTIN, Texas — Whether you have kids or are a kid trapped in an adult’s body, you need to drop by a light and sound exhibit that has opened for a limited time in Austin. 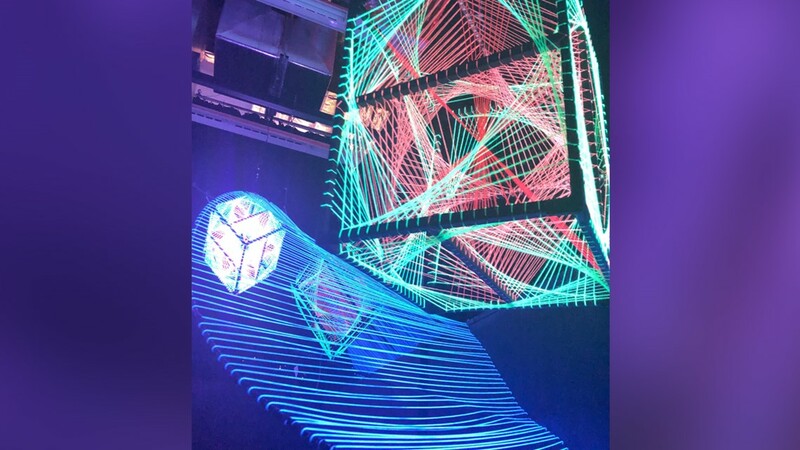 "Hopscotch: Light and Sound” is a 10,000 square foot space in Austin with 13 different installations from a variety of mostly-Austin-based artists. As visitors make their way through the maze of rooms, they are invited to play with lights and sound. Using a “paintbrush,” you can paint with light on a bright canvas that spans the length of an entire wall. In another room, you can pull down on a rope to activate “thunder” while a “sky” full of balloon-like lights flicker to imitate lightning. 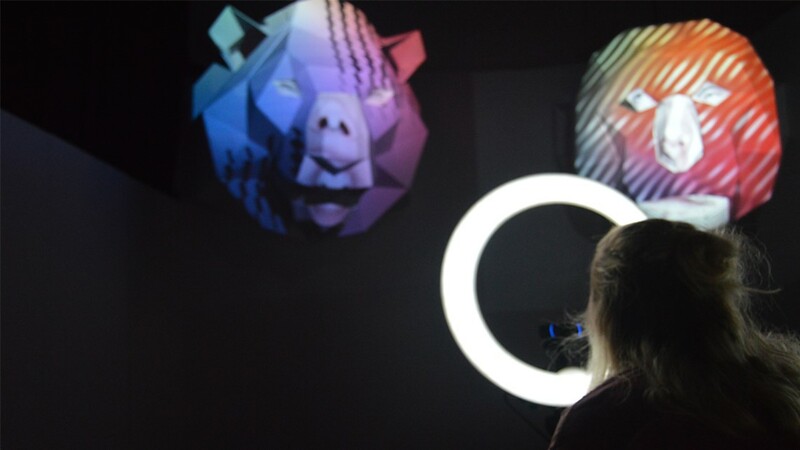 A woman uses a camera to match her face with a lit-up animal on a screen in front of her at an art exhibit in Austin. A man is seen pulling at wires, triggering the sound of thunder in a dark room. Above him, bubbly "clouds" ripple with "lightning." A look at a light display in Austin. The "Matrix" display at Hopscotch displays 3,000 pixels of suspended light. Viewers can walk through the light bulbs as they change color. The "Neon Scream" display invites visitors to scream into a microphone as a face reacts by lighting up in front of them. 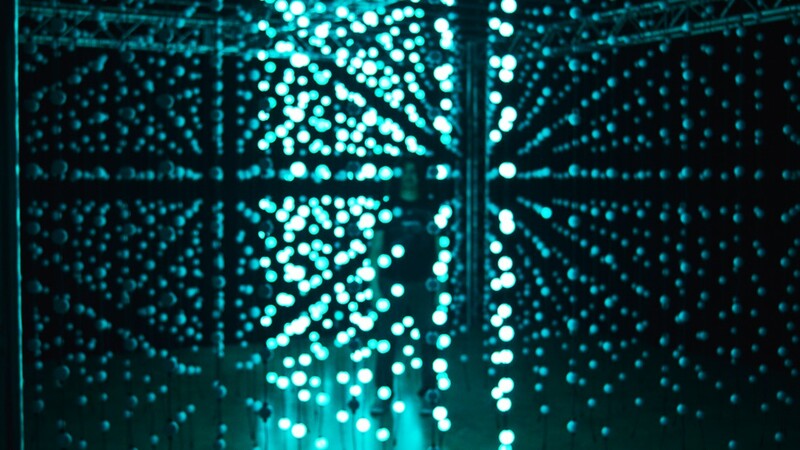 'Hopscotch: Light and Sound' is an art exhibit that lets you interact with displays. Adults can channel their inner children and children can be themselves inside a massive ball pit made up of 300,000 balls at Hopscotch. One installation called “Neon Scream’ invites you to channel your rage into a microphone. 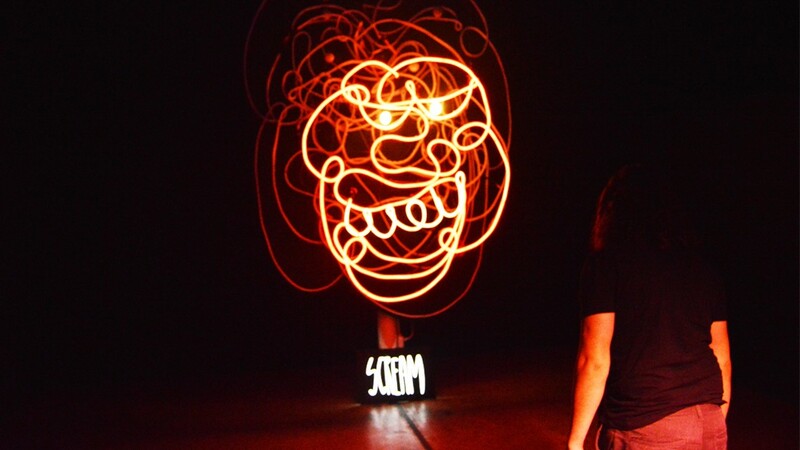 As you scream, a larger-than-life face reacts by lighting up. At “Matrix,” you can walk through 3,000 pixels of suspended light bulbs that create waves of light, moving in sync with sound that echoes through the room. 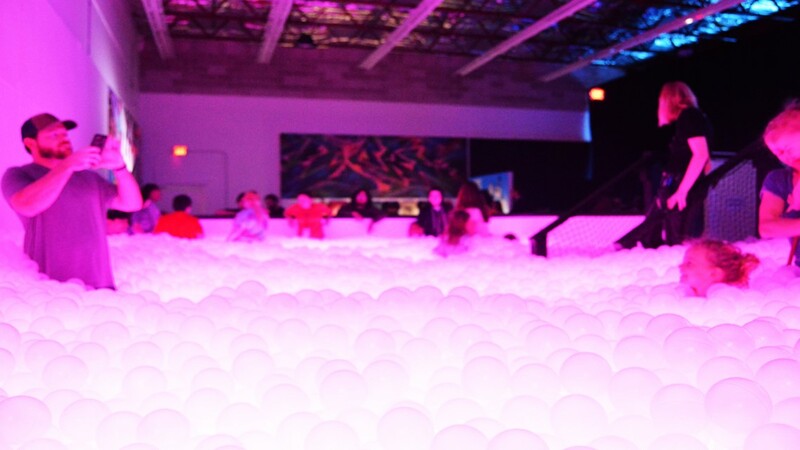 You can jump and swim around in a massive ball pit “powered by a light up LED floor” and more than 300,000 balls. If you need a break from all the excitement, adults can visit the bar on site. Hopscotch, in partnership with HOPE Campaign, opened on Feb. 14 and ends March 31. Click here for ticket information. Sales help support the new HOPE Outdoor Gallery, according to the exhibit.